A gold level course. $5/park fee. 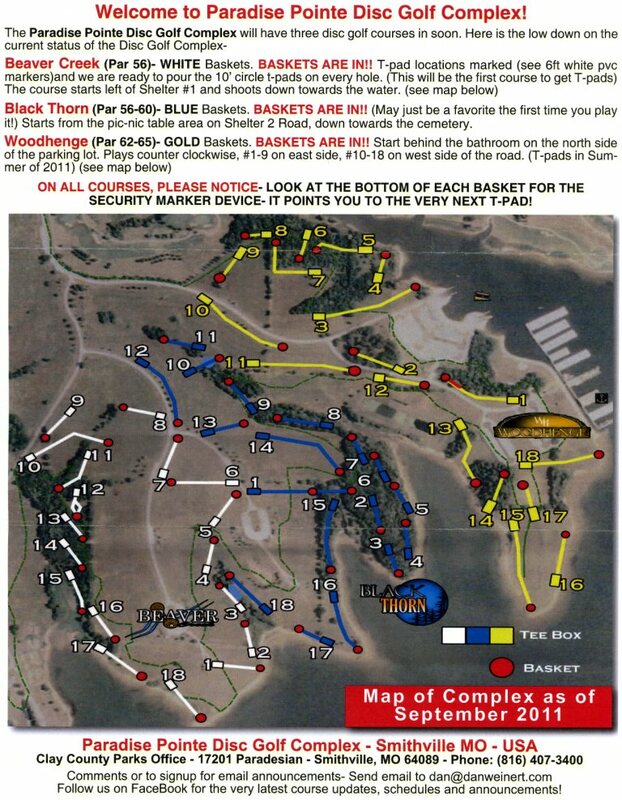 Be sure to ask the gate attendant for a map of the course. Remember to use the "security lock" as a way to direct you to the next tee. Two other courses on site. 169 North to a right on 180th St. Go east - staying straight (do not curve left on F) in to Little Platte Park. Go past the "toll booth" - left at 1st fork to the marina and to the furthest back parking lot. 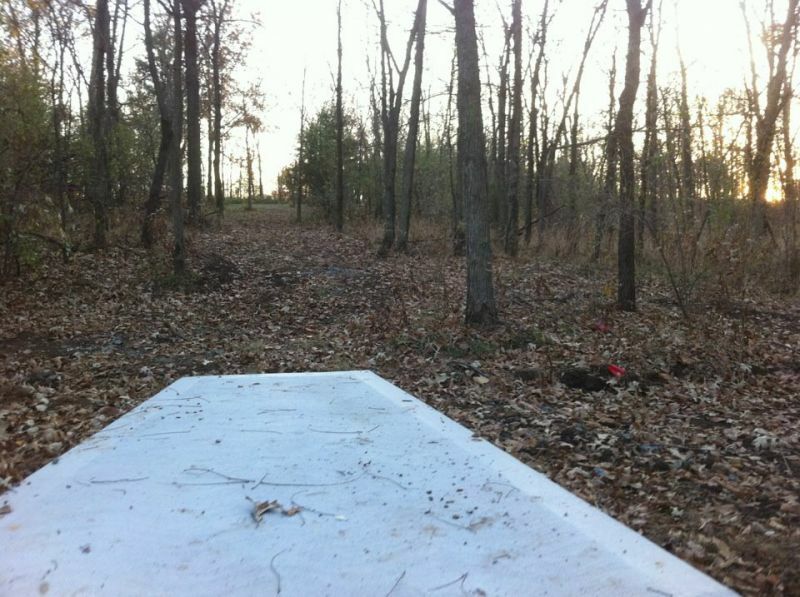 1st tee is down the hill in the woods behind the north bathroom in that lot.